JanetBasket Large Basket Cover - JANETBASKET-Large Basket Cover. A canvas cover for the Large size of JanetBasket baskets. The longer sides have notched spaces to accommodate the handles and there is an elastic band in those notches for attaching the cover to the basket. 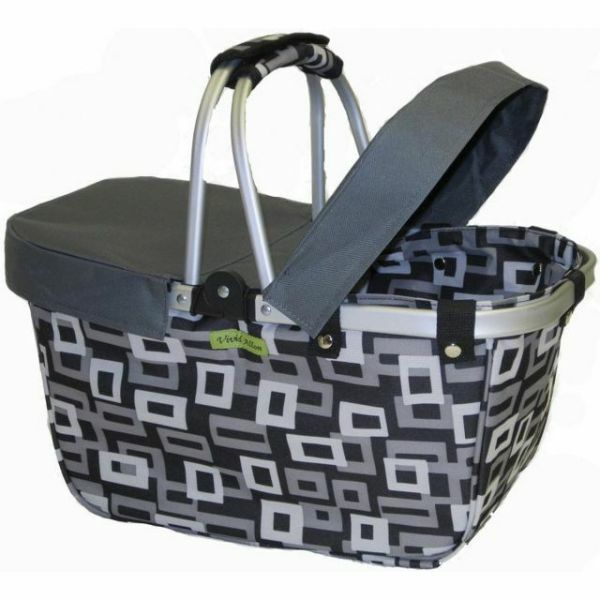 Will fit baskets that measure 18x10 inches and can be folded down when not in use. This package contains one Basket Cover. Color: Grey. Imported.